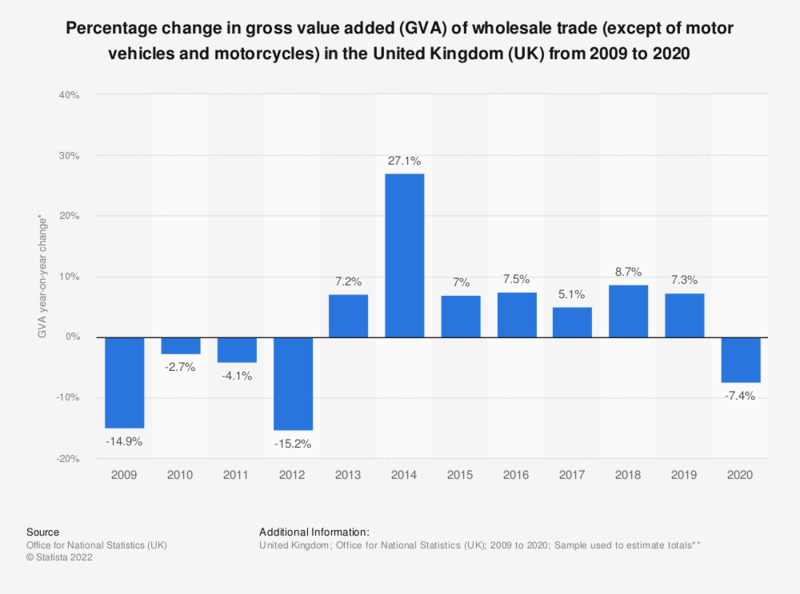 This statistic shows the percentage change in Gross Value Added (GVA) of wholesale trade businesses in the United Kingdom (UK) from 2009 to 2016, excluding motor vehicles and motorcycles. In 2016, wholesale trade enterprises contributed 13.9 percent more to the GVA of the UK Non-Financial Business Economy than in 2015. Data is based on current prices.